The time of extra rain, wind, and empty grocery store racks is back: hurricane season. 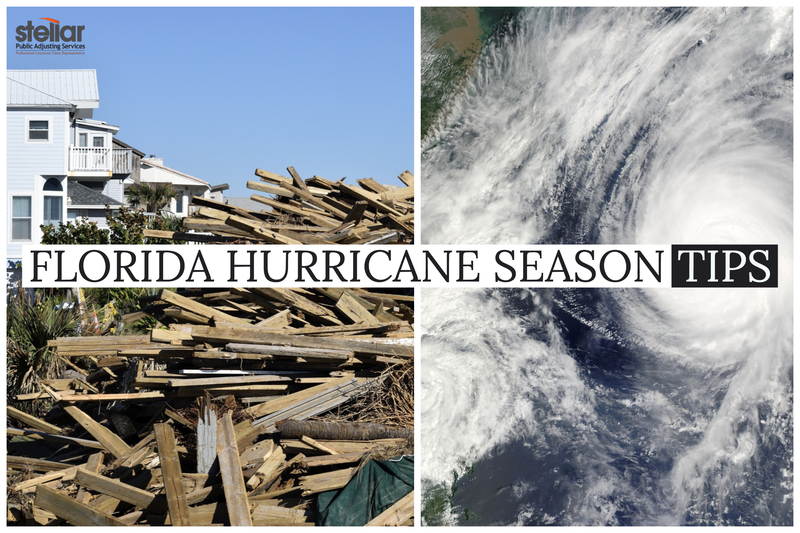 If you’ve never experienced a Florida hurricane season before, it’s important to be aware of what you’ll need in order to be ready. If you’re asking yourself, ‘when is hurricane season?’ For us that are concerned with the Atlantic hurricane season, it officially begins June 1 and ends November 30. The National Hurricane Center is predicting a 70% likelihood of 10 to 16 named storms in total and 5 to 9 hurricanes, which includes 1 to 4 major hurricanes. We At Stellar Adjusting know it only takes one major storm to leave behind heavy damage to your home or business. We want everyone to be as safe as they can while we watch for storms. So, even if this isn’t your first hurricane season in Florida, it’s never too late to learn some new tips to keep you secure and prepared. 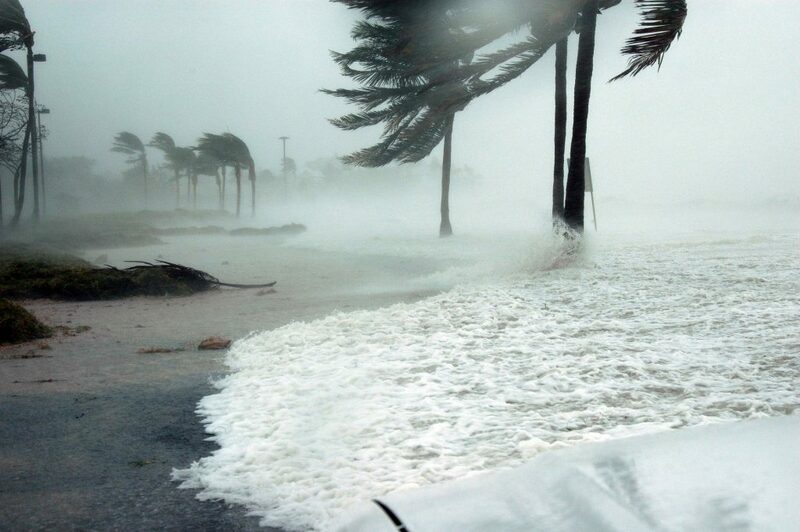 Hurricanes in Florida usually mean lots of heavy rain and wind. As we saw with Hurricane Irma, that heavy wind and rain left most residents without power for days and for some, with flooded homes. Having a plan in place early can greatly eliminate much of the panic that sets in during a massive storm. Have a very extensive stockpile ready that not only includes the basics like non perishable food, water, and a first aid kit, but real disaster supplies. Your kit should include a battery-powered or hand crank radio, flashlights, extra batteries, a whistle, dust masks, tape, moist towelettes, garbage bags, a wrench, a manual can opener, local maps, a backup battery for your phone, prescription and over the counter medication, supplies for babies and pets, and property documents like insurance policies kept in a dry place. Remember to have enough food and supplies to last your whole family at least a week. During an evacuation, not knowing the location of your nearest safety shelter can be life changing. Check FloridaDisaster.org’s information for shelters in your area, and memorize your evacuation route. The Department of Homeland Security prepared a great checklist for making a communication plan that works for your family, in case you’re separated. Things like “what is our plan for getting to the shelter?” may not seem relevant now, but in the moment, you’ll wish you had the answer. It may also seem unnecessary to practice this plan with your family, but that could be what saves your family when a hurricane strikes. When making your plan, take into account specific needs for each member, pets, etc so that evacuation is as seamless as it possibly can be. -Keep in mind that heavy wind comes with hurricanes, and this can leave fallen trees and branches around your home or even cause damage to your home. If there are already damaged trees on your property, get them removed. -Secure your property with protective tools to prevent damage. This should include your roof, windows, doors and garage. -Just in case your home is not evacuated, you’ll need to prepare for keeping your family protected in the home without power and other necessities. Invest in a good generator that will be enough for your family when the power goes out. Don’t forget: Keep generators and other alternate power/heat sources outside and protected from moisture. It’s advised that you keep them at least 20 feet away from windows and doors. If your home or business receives substantial damage from a hurricane, filing a insurance claim is your next step. However, it’ll be wise to have a public adjuster who will work solely and exclusively for you. Public adjusters are trained to get you the payout you deserve. In case of a storm, have 305-396-9110 stored in your phone (Stellar has 24/7 access to claim information). Some public adjusters like Stellar Adjusting also have an extensive network of professionals from lawyers, contractors, real estate professionals, and loss consultants who all work together to provide the best possible service and get you the maximum payout you’re entitled to.